Location is a point. Radius turns this point into an area. When player enters this area, task activates (opens). By default radius for tasks is 10 meters. The bigger the task radius is, the easier it is to activate it, but the farther away from actual location it will activate. The smaller the radius is, the more difficult it is to activate it (because GPS is inherently inaccurate), but the risk of activating the task too far away is reduced. In some cases you want to have really big areas for activation (when using locations on the road). If you need to guide players very close to an object use the intro (pre-clue) for that. Locations with radius of 5 meters or less are very hard to activate. Note that if you set radius to 0 meters, then it will not activate by GPS, but still activates on iBeacons or QR-codes. Tip! If you want to hide the task’s pin and radius from the map, use “No icon” (hidden pin) option and “Transparent” area (radius) color. Standard Loquiz pricing is a combination of yearly subscription and usage. Usage means teams playing your games in your events. Lets assume you are running a game for 50 participants. You divide them into teams of 5 persons, giving you 10 teams. Each team will play using one device meaning you will spend 10 teams. Contact us at info@loquiz.com for more information. Do I need an account to play a game? No. You just need an event-specific username and password to start a game. Where do you host your data? Loquiz is cloud based service. Heroku to run Loquiz PRO servers and Mongo DB with daily backups. What happens if internet connection breaks? Short answer – nothing will happen. Players will probably not notice it. Game is downloaded to the device when it is started and it is possible to continue game even if there is no internet connection. Only exception are photos and videos – they are not uploaded to the server when internet connection is not present. Also online results are not updated until internet connection returns. While we do not recommend it, it is possible to play the game without any internet connection (you still need connection to start a game). Read more about mobile data connection. How many tasks can I have in a game? Theoretically the number of locations or tasks within any given game is not limited. Practically however there are limits. Main limiting factor is the device capability to draw all the locations onto the map correctly and then update those real time. Newer devices are better at this, older and cheaper devices are not so good doing that. The more you use custom pins, map overlays and special rules for pin activations the more stress to the device. In reality we see that up to 100 locations are usually manageable by devices, but above that you need to check that device your players are going to use can handle that. If you are using a lot of locations then just testing on your own new device is not enough. The players need to be able to start the game as well. Can I incorporate my complex clues and tasks from the paper scavenger hunt that we run? Most likely! Loquiz supports different task types, media (image, photo, webpage), hints, clues, after-answer comment etc. So most probably there is a way. We are happy to help you to convert your existing clues onto Loquiz platform. While we do not guarantee that it is exactly like it was in pen and paper version we usually come up with pretty close conversions that are better in many ways or easier to run than before. We will convert one game free of charge. You can test it out and then decide if you want to use it or not. The game will be on your Loquiz account, so it is a good base for future game development in your locations. Will games created stay on my account and for how long? How many games can I have? We keep the right to close your account after 3 months of inactivity. So in case you do not purchase anything within a year and all your purchases are expired, we have the right to close the account. You will get notified about that beforehand, so do not worry – your tasks and games are safe. My iPad does not activate any locations what to do? Make sure that you are not using Wi-Fi only iPads. These iPads do not have GPS built in and therefore can not be used for location-based games. Please ensure that your iPad is running iOS version 9 or higher. Loquiz does not support versions below that. Check Loquiz app rights. Go to “Settings” in your device, scroll down to Loquiz app and check if Loquiz has “always” access to Location. Loquiz should also have access to Photos folder, Microphone, Camera and Mobile data. Can I use feet instead of meters? Yes! Loquiz supports both – Metric and Imperial system. To change distant unit, just go to your account in PRO. Find Account Menu (on the upper right corner), click on your name and choose “Account Settings”, then click on “App” tab and under “Distance units” choose the unit you want to use. Chosen measuring system is now applied to all your games. Can I use my own logo on Loquiz games? How? Where is it displayed? Logo is shown in Loquiz app on login page, on game’s menu and at upper left corner of the map. Logo is also visible in online results pages. On phones logo is hidden to save screen estate. By default Loquiz logo is shown, but you can also set a custom logo. To set your own account wide logo, go to “Account settings”, there you can insert logo directly from the computer or via URL. It is possible to overwrite your own account specific logo (if set) or Loquiz logo (if account wide logo is not set) by defining event specific logo (from event creation dialogue). This allows you to use client’s logo or customized logo for specific events. Event-specific logo is only shown in the game and not on log in screen. Read more about setting custom logo. Can I change the game (locations, tasks) when game is on? No. Game is downloaded to the device when game is started and is not updated unless the game is started again. So if you change the game when somebody is playing it, the changes will only apply for players who are starting the game after you have saved your edited game. Game is downloaded to the device to make sure the game works even when the internet connection is missing. How many tasks and how much distance should 90 min game cover? – do you want players to visit all the pins or it is fine if they cover some % of all pins? 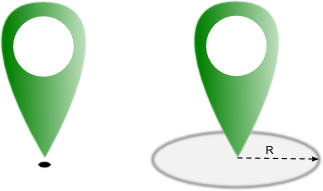 – pin distances should be close enough to keep people entertained. For example couple of min of walking, task to answer, bit of walking, task etc. By bike, bus, car, boat, canoe, helicopter etc. distances should be longer so it makes sense to utilize the transportation mode. – In cold/rainy/windy etc. weather people are able to cover less distance. Working with the smart device with cold hands is also more difficult. – Variable landscape. Steep streets, forested areas, finding bridges to cross rivers, traffic etc. Walking 200 m on flat land compared to uphill take different amount of time. – Your clients’ demographics. Old-young, fit- “office shape”. Physical abilities, outfit, whether they know the town or are tourists and have to try harder to find their way? – Nature of tasks/tasks. A simple puzzle can take a 1 minute to tackle and creative photo task can take 5 minutes to find the location and stage the expressions. When you have tested an polished your new game then it is best to allow some human test-bunnies to play it. Then you are able to implement final adjustments. Why do I need to create an event? Why can’t I just play game I created? Loquiz allows you to play the same game in different events and all the teams in the specific event are shown in one results table. Think about this. If you have a London game that you are running each week and every week different group is playing. They are playing the same London game but within their group. In Loquiz you do not make a copy of the game, you just create a new event and you are good to go. Loquiz is built so that you can reuse your tasks to build different games for different locations and different occasions. Currently, Loquiz has 6 game types – Quiz, Clue, Rogain, Scavenger, Strategy and Match. Different game types allow you to build game ideas with very different mechanics. With one game type you can bring numerous game concepts into life. Read more about game types. Public library is a collection of tasks and games within Loquiz PRO. It is created and maintained by Loquiz team. You can copy sample tasks and games from the library to your account to change, translate and use in your events but you can not change content that is in the library. Does setting language for the game or task translate the task/game into my language? Setting language to a task helps with sorting your tasks later on. Setting language to the game sets apps interface- buttons, menu into your chosen language. But your tasks and game texts are not translated automatically. Can I try the system before the purchase? Yes, please fill out form: https://loquiz.com/register for more information. How can we customize the tasks? You can create 10 types of tasks and 6 types of games with Loquiz. You can add images, videos and webpages as a media to the tasks. You can also fine-tune tasks by adding timers, hints, custom amount of points, after answer comments, etc. Do you charge by the amount of games I create? No, pricing is usage based (or period based if you have subscription) and you can create as many games as you need on your account. Can I edit the game when it is ready? You can change, copy and modify all Loquiz content- tasks and games as much as you need. So if you have a working game concept then you can change it a bit according to a client’s needs or simply shift the task locations to some other place on the landscape. You can also use the same game with as many different events as you need. As many as you wish. There is no limit. The amount of people in one team depends on devices you use. Larger screen tablets are best to view in a group of 5-6 people, smartphones with 2-3 people. It depends also on the tasks you use in games – e.g. puzzles need more screen viewing, some team and photo tasks work better with large team. Can we save the photos taken during the race and access them afterwards? Yes, photos are uploaded over data connection live to online Results page. Photos and videos are uploaded to “Photos and videos” tab and can be accessed during and after the game. The quality of photos and videos are a bit reduced when they are uploaded to the web. If you wish to present to the client photos-videos with super quality as an end result, then you will need to transfer the pics-videos from your device(s) to computer in the end of the game via USB cable. How much data volume does a game consume? Shortly, it depends. Game itself uses less than 100kB, but if you add images, videos and webpages to your game as a media it will add several megabytes more. So if you want to keep data volume small, try to avoid adding videos as a media to the tasks. Also when talking about upload volumes, game data we are uploading (results, status, etc.) is small. In case you are using a lot of tasks where players answer by taking photos or videos, every photo and video will be uploaded to our server (in case of internet connection is present). Photo and video sizes are reduced for uploading but they are still up to 1Mb in size. More detailed information about the data volumes can be found here.